This is the OVW Report for Wednesday, September 12, 2018. 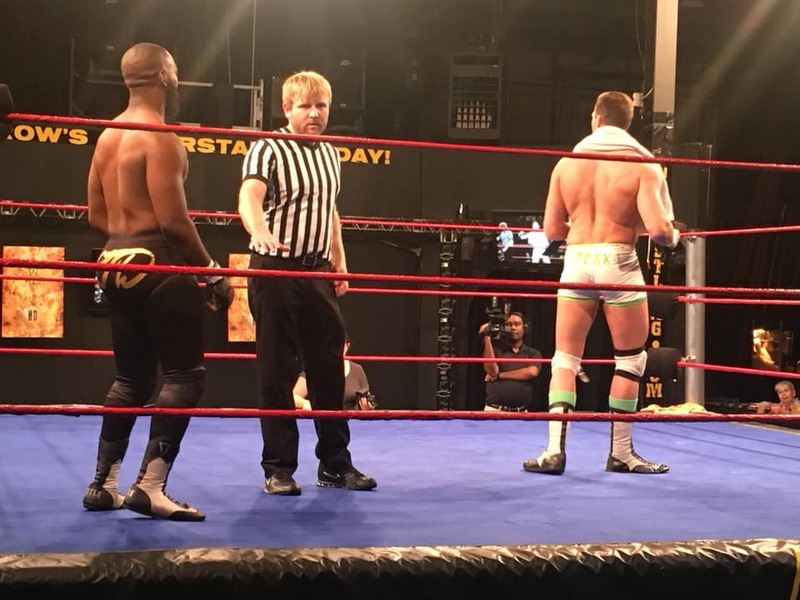 This episode can be seen on WBNA-21 in the Louisville area on Saturday at 11AM and 9PM, and online at OVW TV. In this episode, Randall Floyd faces Crazzy Steve in a preliminary match for the Grand Tournament, Billy O defends the OVW TV Title, plus more! OVW Anarchy Champion "The Boy Wonder" Sam Thompson & Big Zo defeat "The Man" Dapper Dan & "The Vet" Apollo. Sam wants Dan, but Dan tags Apollo in. Sam with a quick arm drag and dropkick. Zo comes in and hits Apollo down and tags Sam back in. Sam forearms Apollo in the face, but turns his back to argue with Dan. 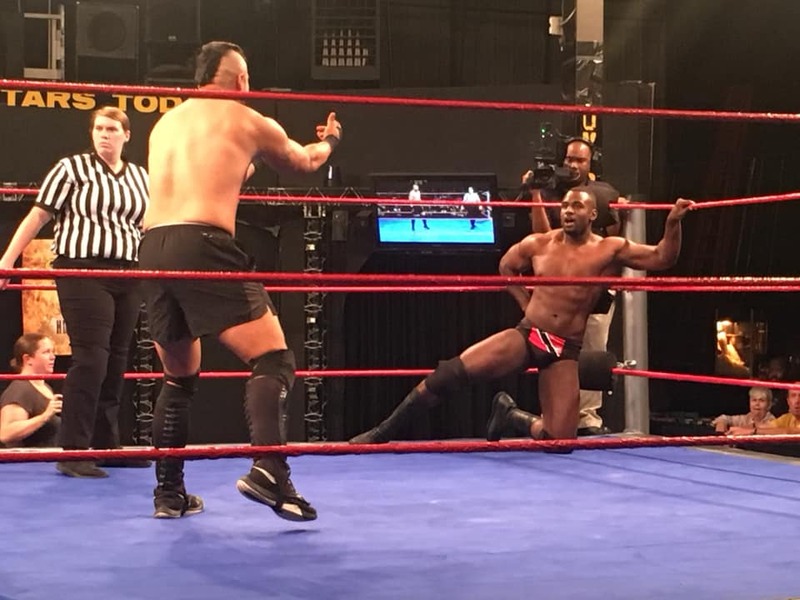 Apollo pokes him in the eyes, then Dan comes in and stomps him while the ref keeps Zo from coming after Apollo. They work over Sam, and Dan clubs him hard. Apollo is in and catches a boot from Sam, but Sam hits an enziguri and tags Zo. Zo bowls over Dan, then hits Apollo in the corner. Zo double clotheslines them both and tags Sam. Sam hits the Duck Call on Apollo for the 3. After the match, Dan sneaks in from behind and hits Sam with another Death Valley Driver. He grabs a mic and says that is now 3 times he has left Sam laying. He will do it again this Saturday and that's all he needs, 1-2-3! Jessie Belle & Meg Monroe defeat OVW Women's Champion Jaylee & Cali Young. Jessie with a quick takedown on Jaylee and a legdrop for 2. Both tag out and Cali slaps Meg, but Meg slams her down. She tags Jaylee and Meg takes her down with a slam, then splashes her in the corner. Jessie tags in and hits the "Kiss My Grits" in the corner for 2. Jaylee pulls her hair and throws her into the ropes. Cali hits Jessie, and Jaylee hits Jessie from behind as Jessie goes after Cali. Jaylee wraps her arm up in the ropes and works it over. Cali tags in and locks in a sleeper. Jessie works her way up and hits a chinbuster, but Cali pulls Jessie back down by her hair. Jessie kicks Cali off and tags Meg. Meg runs over Cali and slams her. She splashes her in the corner, then throws her hard into the other corner, splashing her again. She hits a big sidewalk slam. Jaylee & Jessie are fighting on the outside and Jaylee grabs a chair. The ref pulls the chair away and tries to get Jessie back to her corner. Jaylee grabs her title and hits Meg in the back, but it doesn't faze Meg. Jaylee passes the title to Cali, but Meg kicks Cali and hits her with the Samoan drop to get the 3. 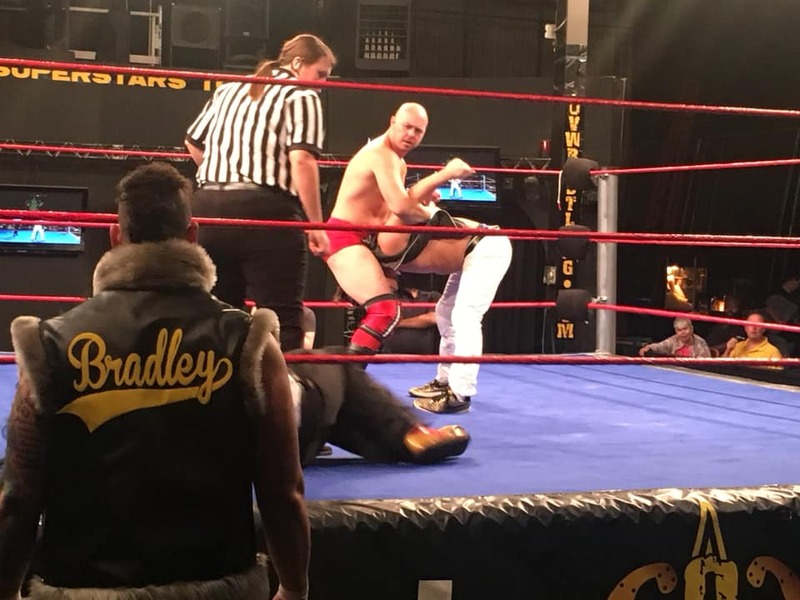 Shiloh Jonze (w/DL3, The Big D, & Jay Bradley) defeats "The Double R Superstar" Randy Royal. Shiloh goes after Royal, but Royal hits him and takes him down with an overhead throw suplex. He goes for the Royal Flush, but Big D rolls in. Royal knocks him out and hits at DL3. Shiloh takes advantage, hitting Royal from behind. He hits an elbow drop and off the ropes, Royal hits a sunset flip for 2. Shiloh regains control until Royal comes back with a knee to the face and a running neckbreaker. Big D rolls in again and Royal throws him out. He hits DL3, then kicks the ropes as Jay tries to get in. Shiloh loads up and hits a rocket punch to the chin as Royal turns around to get the 3. Gilbert Corsey, Shannon the Dude, & Ted McNaler are on commentary, and Mercy is the ring announcer. "The Trinidad Titan" Justin Smooth defeats Christian Hernandez. They lock up into the corner and Hernandez throws Smooth across the ring. Smooth picks him up and drives him into the corner and shoulders him. Hernandez reverses a throw to the opposite corner and clotheslines him. Smooth comes back with a spinebuster and hits the bicycle kick for the 3. After the match, Smooth grabs a mic and says he proved once again last week that it doesn't matter the circumstances, he always bounces back. He was jumped, outnumbered, but got up and won his opportunity to fight for the Heavyweight Title. Crazzy Steve, Amon, & the Void come out and surround the ring. Randall Floyd's music hits and he runs out with a chair and stands back-to-back with Smooth. Crazzy Steve says Randall just made a big mistake. Not only will he defeat him tonight, he will destroy him and make sure he does not have a chance for the title. Randall says he wishes he would have beat them with the chair already, and tonight he will defeat Steve! 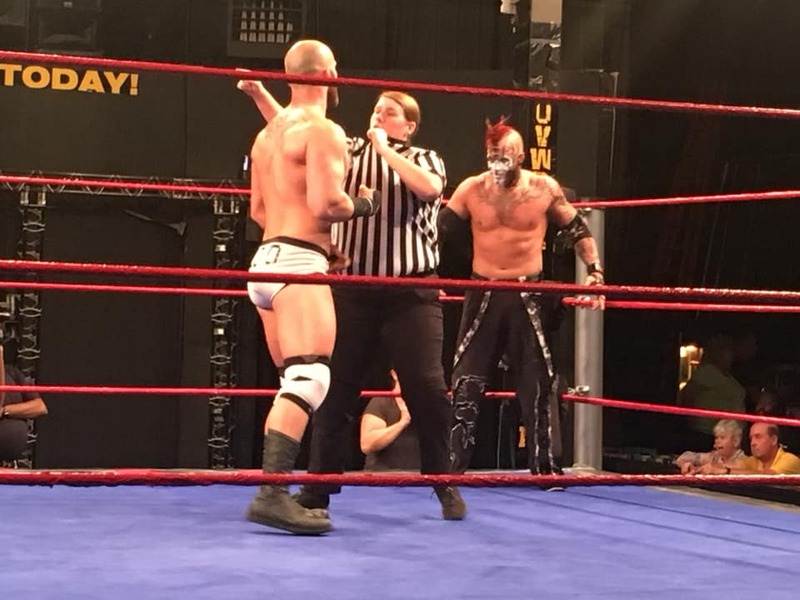 OVW TELEVISION TITLE MATCH: "Livewire" KTD defeats "The Leading Man" Billy O, "The Star of the Show" (c) by DQ. Billy reintroduces himself and we get underway. Billy takes KTD to the mat and poses. KTD locks the arm and takes Billy down by the leg. Off the ropes, Billy catches KTD and slams him hard. He goes for an elbow drop, but KTD catches his arm and locks it up in a submission. KTD fires away, and Billy rolls out saying KTD tries to hit him in the face. Billy gets in, and KTD goes up top. Billy slams him off the top. KTD tries to fire back, but Billy knees him in the gut. Billy goes for the pin, but only gets a 2. Billy goes for Oceans Eleven, but KTD slides down and locks up the leg in a submission, but Billy grabs the ropes. KTD fires up again. Billy reverses a throw to the corner, but KTD leaps over him. He hits Billy's face off the top turnbuckle. He sets up for a KO punch, but Billy kicks his arm, then connects with the running knee to the face for the 3. After the pin, Billy continues to pummel KTD and the ref reverses the decision. Bruce Schneider asks Billy why he continued to hit his opponent when he had the match won. Billy says it's because he hit him in the face and it's his moneymaker. If it gets messed up, he could lose millions of dollars! Let that be a lesson to anyone in the back. 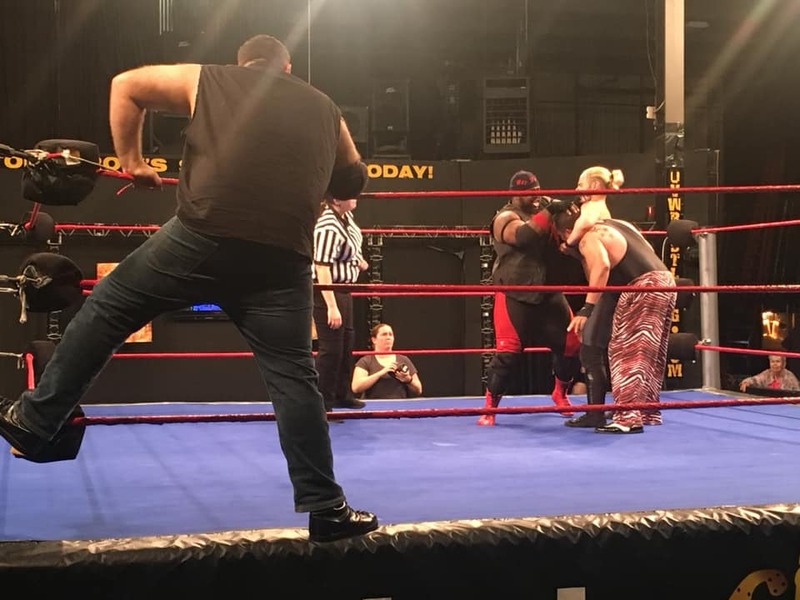 "The Bro Godz": Colton Cage & Dustin Jackson defeat Dimes & Eddie Knight. A quick back and forth early. Dimes & Eddie get in a lot of offense, but Colton catches Eddie with the sideburn effect. Both men tag out, and Dustin sets up Dimes for the Snapshot, but Dimes slips out. Colton takes him down with the scissor kick, then knocks Eddie off the apron. He tags Dustin, and Dustin hits the splash off the top rope for the 3! Matt Vine defeats Crimson. Crimson attacks him and throws him hard into the corner. Matt comes back with a reversal from an arm drag and snapmares Crimson. He dropkicks him out of the ring. Crimson drags him out and throws him into the ringpost. Crimson hits a fallaway slam and Matt tries to fire back, but Crimson hits an overhead suplex. Crimson charges into a back elbow, then again into the boots. Mike fires, but Crimson blocks a dropkick. He goes to grab him, but Matt comes back with a super kick that staggers Crimson. Crimson comes back with a spear, but the Bro Godzcome out and cause a distraction. Matt rolls Crimson up from behind and gets the 3! GRAND TOURNAMENT PRELIMINARY MATCH: "The Real Deal" Randall Floyd defeats Crazzy Steve (w/Amon). They lock up into the corner and Floyd breaks clean, but they lock up again and Steve hangs him up over the top with his legs wrapped around his head. Floyd takes Steve down and then hits some side suplexes. Steve rolls out and unchains Amon from the corner. Amon distracts Floyd, allowing Steve to hit him from behind and take control. Steve hits him in the corner, then clubs him and shoulders him. He runs into a back elbow, then Floyd hits a t-bone suplex into the corner. Floyd has him in a chinlock, but Steve hits a chinbuster. In the corner, Steve hits him, then snapmares him. He tries to pin for 2. Floyd tries to fight back, but Steve takes him down with a Russian leg sweep, then locks him up in a submission. Floyd tries to break free, but Steve immediately gets him into a different submission, clubbing him in the chest. Floyd fires back with hits and chops, but Steve catches him with an uppercut. Floyd regains control and throws Amon out of the ring as he tries to interfere. He takes Steve down for the modified Boston crab, but Amon sends out the Void. Floyd takes out Chace Destiny & Houdini, then slams Nigel. Amon hits Floyd from behind, and hits a powerslam. Steve crawls over for the pin, but Floyd kicks out at 2. Floyd comes back and takes Steve down with the Deal Breaker and gets the 3. After the match, Tony Gunn attacks Floyd from behind and says he is the best wrestler here! DARK MATCH: DL3 (w/Shiloh Jonze, Jay Bradley, & The Big D) defeats Ashton Cove. Cove with some quick offense early, but distractions on the outside allow DL3 to come back. Jay gets in and hits Cove in the face behind the ref's back, then DL3 hits the Director's Cut for the 3. 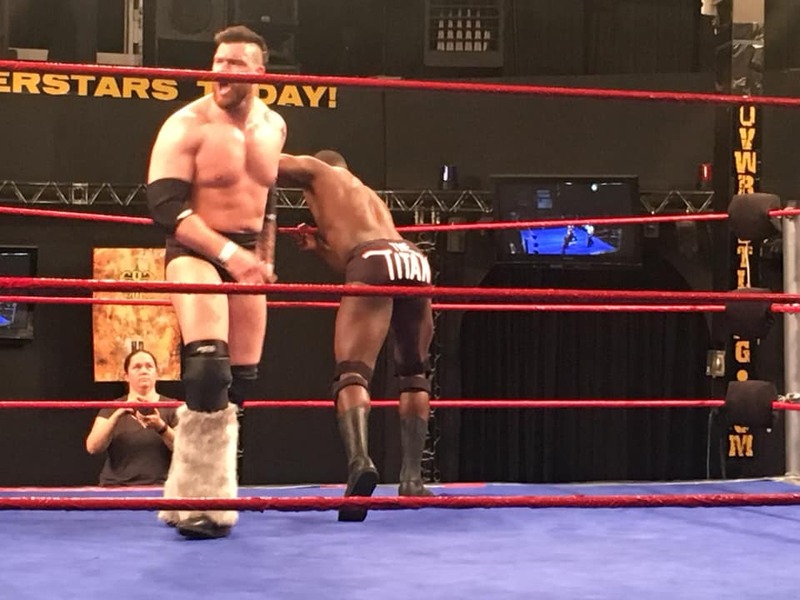 DARK MATCH: "The Trinidad Titan" Justin Smooth defeats Jay Bradley (w/DL3, Shiloh Jonze, & The Big D). Jay attacks Smooth from behind as he's distracted by DL3 and company on the outside. Smooth comes back with a suplex, but Jay comes back and hits a snap suplex of his own. Smooth fires back, but Jay claps his ears and slams him. He drops a knee for 2. Jay continues to work him over, but misses a splash off the middle rope as Smooth gets his knees up. Smooth fires back and slams Jay, then knocks DL3 and company off the apron. He hits Jay with aspinebuster and knocks DL3 off the apron again. Shiloh goes to splash Smooth, but he moves and Shiloh splashes Jay by accident. Smooth then connects with the bicycle kick for the 3.